We guarantee that our solid Kong rubber ball is the best bouncing and most durable ball on the market! 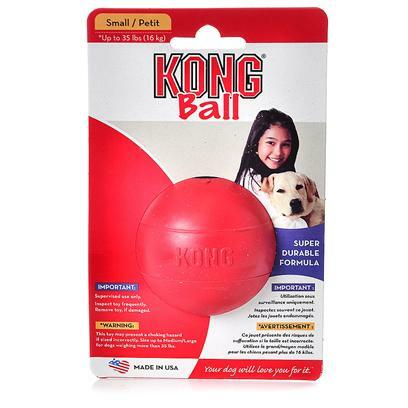 Kong ball comes in two sizes 2.5 inch for small and medium-size dogs and 3.1 inch for medium-large-size dogs (35lbs.+). Please refer to kongcompany.com for additional info on proper toy sizing. Supervised use only. Inspect toy frequently. Remove toy, if damaged. This toy may present choking hazard is sized incorrectly.